MGM Grand Detroit Casino, working to keep its gaming floor the most vibrant and exciting in the market, has announced a first-to-market installation of Interblock�s Organic Series, 10-station, electronic roulette table game. Troy Hammie, MGM Grand Detroit�s vice president of slot operations, made the announcement. The 10-station configuration is fully automated and comes with a real-action double-zero roulette wheel that is adorned with Swarovski crystals. Each station is equipped with LCD video touch screens for playing and displays the complete history of prior games played, similar to a traditional roulette table. The display has three language settings: English, Spanish and Chinese. A precise camera is built into the console and designed to display the live, real-time wheel spins on each of the 10 playstations as well as the six overhead LCD screens, generating excitement across the casino. "Our guests have come to expect the gaming floor at MGM Grand Detroit to have the latest and coolest technology in gaming, many times before you see them anywhere else in Detroit, Ohio and even the mega casino resorts in Las Vegas," Hammie said. "The addition of our latest electronic roulette game caps off our installation of more than 100 new slot machines - all a part of continuing efforts to keep our casino floor fun and exciting." Other features include ergonomical arm and footrests, and an interface with surroundings, using dynamic full-spectrum LED illumination. The machine also can detect the presence of a player using built-in infrared motion detection sensors. 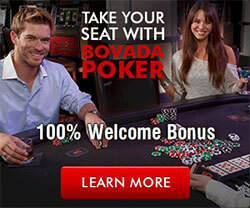 Players can bet in increments of $.50 with a minimum bet of $5.00. The 100,000-square-foot casino features 4,000 of the latest slots and video poker machines and more than 90 table games, each part of MGM Resorts International's M life expanded rewards program that lets members earn benefits for virtually every dollar spent at hotels, spas and restaurants at 15 world-renowned destinations in Las Vegas, Mississippi and Detroit.